Music producer, gallery owner and now novelist Tot Taylor joins John and Andy on the Backlisted podcast to discuss James Hilton's 1933 novel about an earthly paradise in the far Himalayas. And the various iterations of the story that came after. In a special edition of the Backlisted podcast recorded at Shakespeare & Co. in Paris, John and Andy are joined by the bookstore's owner Sylvia Whitman and author Adam Biles to discuss Huysmans' novel of aesthetic isolation A Rebours. In a special Christmas edition of the Backlisted podcast (which of course can be listened to at any time of year) John & Andy welcome Jude and James Cook to discuss Ian Fleming's most festive Bond novel, On Her Majesty's Secret Service. There's discussion of the films, the music, and the sometimes questionable attitude to women, the French and drinking. Also talked about in the 'What We've Been Reading' slot; Kindred by Octavia Butler and Alys Fowler's Hidden Nature. Author and illustrator Alice Stevenson and her childhood friend, playwright Elinor Cook join John and Andy on the Backlisted podcast to talk about Diana Wynne Jones's novel of memory, childhood and friendship. In a special edition of the Backlisted podcast recorded earlier this year live at the Durham Book Festival, John and Andy are joined by writers Adelle Stripe and Ben Myers to discuss Gordon Burn's debut novel Alma Cogan. The 'WHWBR?' slots are occupied by Pevsner's guide to Durham and The Buried Giant by Kazuo Ishiguro. The novelist Jenny Colgan joins John and Andy on the Backlisted podcast to discuss R.F. Delderfield's epic of life in an English boarding school between the wars. Craig Brown's Ma'am Darling and Priestdaddy by Patricia Lockwood are the books we've been reading this week. For our annual Halloween episode John and Andy are joined on the Backlisted podcast by Fiona Wilson and Andrew Male to discuss Shirley Jackson's final novel We Have Always Lived In The Castle, originally published in 1962. In this show's 'What We Have Been Reading' slot John discusses True Ghost Stories of Our Own Time by Vivienne Rae-Ellis, while Andy puts forward Going On The Turn, the third instalment of Danny Baker's memoirs. In a special live edition of the Backlisted podcast, recorded in front of an audience at Blackwell's Bookshop in Oxford, John and Andy are joined by Mark Haddon, author of The Curious Incident Of The Dog In The Night-Time and Sally Bayley, author and tutor in English at Balliol and St. Hugh's Colleges, Oxford. The panel discuss Jacob's Room, the third novel by Virginia Woolf, first published in 1922. 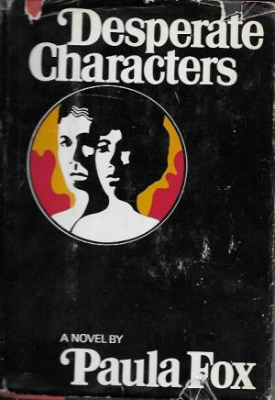 Simon Garfield, author of The Wrestling, The Nation's Favourite and A Notable Woman, amongst others joins John and Andy on the Backlisted podcast to discuss William Goldman's groundbreaking account of his life as a Hollywood screenwriter. 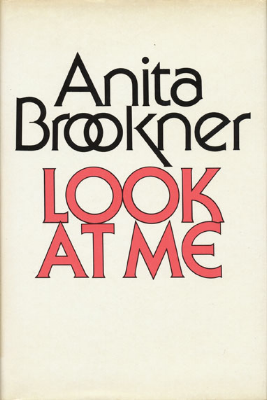 In a long awaited episode of the Backlisted podcast John and Andy are joined by Una McCormack and Lucy Scholes to discuss Anita Brookner's third novel Look At Me (1982), a tale of intergalactic piracy in a far off star syste... No, not really. The Cake And The Rain, Jimmy Webb's memoir of life in the 60's music industry, and We That Are Young a reworking of King Lear set in India by Preti Taneja, are the books John & Andy have been reading. John and Andy are joined on the Backlisted podcast by poet, radio presenter, playwright and genuine Tyke Ian McMillan to discuss Malcolm Lowry's 1947 masterwork, Under The Volcano. Also, The Factory of Light by Michael Jacobs, and more Rosemary Tonks. Do you have a problem with that? Even your favourite podcasts need to take a holiday... but hopefully this collection of Backlisted off cuts, tall tales, terrible name dropping and the occasional bit of literary chat will help tide you over until we return at the beginning of September. Tom Baker - Who On Earth is Tom Baker? Author William Fiennes joins Andy and John on the Backlisted podcast to talk about Desperate Characters, Paula Fox's New York-set novel of relationships and feral cats. Also; William's First Story charity, Adam Scovell's Folk Horror and Sarah Hall's story collection Madame Zero, plus more on the mysterious Rosemary Tonks. 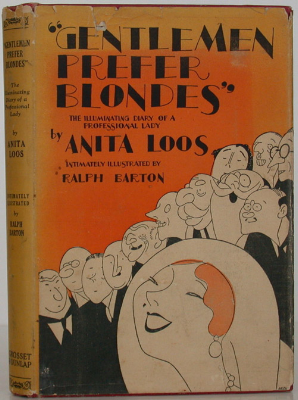 The novelist Joanna Walsh and critic and academic Sarah Churchwell join John & Andy on the Backlisted podcast to talk about Anita Loos' Jazz Age novel. Also discussed: The Fact of a Body by Alexandria Marzano-Lesnevich, and Bedouin of the London Evening, an anthology of poems by Rosemary Tonks. Author and critic Alex Preston and Rachael Kerr, Unbound's Editor at large, join John and Andy on the Backlisted podcast to discuss Charles Sprawson's ground breaking 'Haunts Of The Black Masseur', together with all things aquatic. The subtitle of the book is 'The Swimmer As Hero' and Sprawson's book tells the tale of literary swimmers from Byron to Cheever. Also discussed; Outskirts by John Grindrod and Bleaker House by Nell Stevens. Sarah Perry, bestselling author of The Essex Serpent, joins John and Andy on the Backlisted podcast to discuss Edmund Gosse's account of growing up the son of a widowed Victorian fundementalist preacher. The trio also talk about Attrib. and Other Stories by Eley Williams, and Spanish Crossings, the second novel by John Simmons. 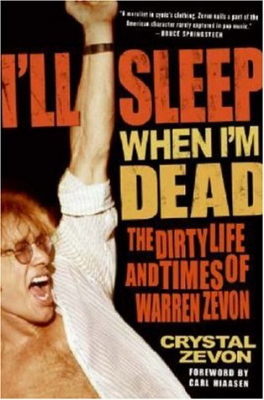 Author and editor Richard T. Kelly joins John and Andy in the Backlisted studio to discuss I'll Sleep When I'm Dead: The Dirty Life And Times of Warren Zevon by Crystal Zevon. They also discuss the art of the oral history, and run through some of their favourites, including Simon Garfield's The Wrestling and Edie - An American Biography by Jean Stein. Novelist Niven Govinden joins John and Andy on the Backlisted podcast to discuss James Baldwin's 1968 novel Tell Me How Long The Train's Been Gone. Also discussed: The World My Wilderness by Rose Macaulay, and The Gallows Pole by Ben Myers. Oh, and Lissa Evans' scene stealing turn in Their Finest, the film adaptation of her WWII novel, Their Finest Hour & A Half. 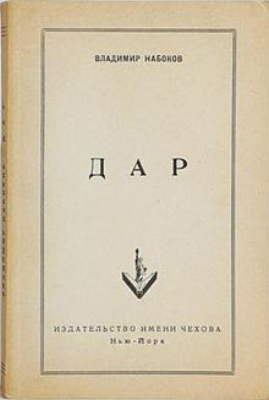 Writer and critic Catherine Taylor joins John and Andy on the Backlisted podcast to discuss Vladimir Nabokov's parting love letter to Russia and it's literature, The Gift, first published in English in 1963. Also; singing with nightingales and reading Richard Mabey's book about the same bird, David Storey's Booker Prize winning Saville, and Bob Dylan's song and dance routine.